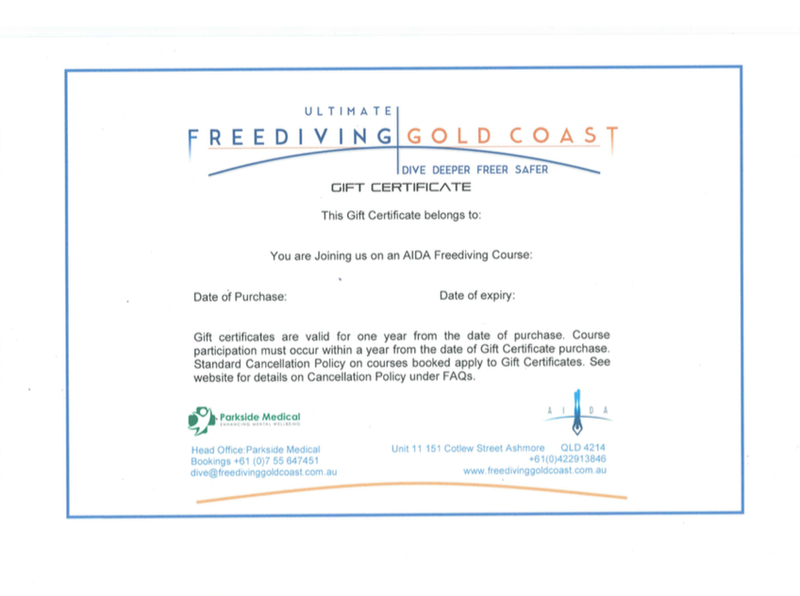 Be certified as an AIDA 2 Freediver Or have completed the AIDA 2 Crossover Evaluation if crossing over from another freedive organisation (see below for more information). 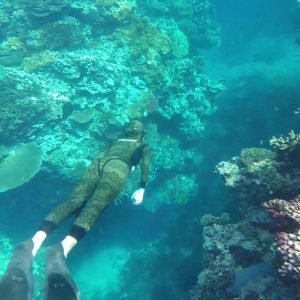 This 22 hour freediving course builds upon the Ocean Freediver course covering the necessary skills and knowledge for a recreational freediver to confidently and safely freedive to a maximum depth of 30 metres. Students are expected to build upon their static breath hold times and dynamic distances in the pool. The first component of the Advanced Ocean Freediver course is knowledge and theory development for approximately 6 hours in total. The second component is pool based practicing the freediving skills of static apnea, dynamic apnea and rescues to an advanced level. This is approximately 6 hours (depending on student numbers). The third and final component is in the open ocean practicing the freediving skills of free immersion, constant weight, equalisation and safety to an advanced level. This consists of 4 open water sessions across two days (about 10 hours including boat travel time). For time poor students unable to attend the face to face theory component in the classroom, we offer a self-study option for the more motivated students. We will email you the 97 page manual which you are expected to read and answer the Knowledge Review Questions which will be discussed with your instructor prior to the start of your pool and ocean components of your course. Please allow a minimum of 1.5 hours for this discussion. This self-study option is available for all AIDA 2 Freediver level courses and higher. Please inquire for further information about this option. On successful completion of this course the student is awarded the AIDA 3 Advanced Freediver certification and is registered on the AIDA website Education Online System (EOS). Have completed the AIDA 3 Advanced Freediver Course Or have completed the AIDA 3 Crossover Evaluation if crossing over from another freedive organisation. Have completed a course in First Aid with CPR within the last 2 years. The Assistant Instructor course is the highest level of training attainable within the AIDA recreational freediving education system with students being able to achieve the AIDA 4 Master Freediver certification and be able to work in the capacity of Assistant Instructor. This course has two primary purposes. Firstly, the purpose of this course is to familiarise students with the techniques of deeper freediving including FRC diving, mouth-fill equalisation and the associated safety procedures. Students will also continue their development in static apnea, dynamic apnea, constant weight, free immersion, and introduced to variable weight. Besides the in-water skills the students will be introduced to full body warm-ups and stretching, specific stretching of breathing muscles, training concepts and diet that will benefit their freediving development. By the end of this course the student will be able to dive comfortably in the constant weight discipline in depths from 32 to 40 metres. More importantly, the skills learnt in this course are fundamental to freediving beyond 40 metres depth. The second purpose of this course is to prepare successful students for the role of Assistant Instructors. Students will learn to lead an appropriate warm-up session for confined and open water freediving. They will learn to supervise students of all course levels during confined or open water sessions. 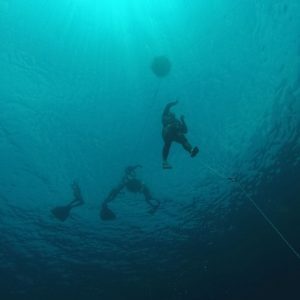 Students will learn how to set up freediving buoys and ropes with the appropriate knots and braiding techniques, setting the depth of the dive line, and safe handling of other freediving equipment such as bottom plates, and lanyards. As with all AIDA courses, the student will be required to undertake three components: Knowledge Development (including exam), Pool (or Confined Water) and Ocean. The student has two options with regard to Knowledge Development. The student may undertake the Knowledge Development using the typical classroom format face to face with the Instructor for a minimum of three sessions (about 6 hours). Alternatively, the motivated student can study from the AIDA 4 Manual and complete the Knowledge Reviews which will be checked and discussed with the Instructor in a 90 minute session. Concepts not clearly understood by the student will be explained and clarified during this session. Assessment will include a written exam and the student teaching a full body warm-up and stretching routine. The Pool/Confined Water component will consist of a minimum of 2 sessions (about 4 hours) performing statics, dynamics and safety procedures. The Ocean component will consist of a minimum of 4 sessions (typically 8 hours of freediving) over two days practicing the skills of mouth-fill, FRC dives, rescuing a blacked out diver from 20 metres, and simulating equipment failures and emergencies such ascending from 20 metres with only one fin or no mask and towing an inert freediver for a minimum of 50 metres. The student will also learn to prepare freediving buoys, lines and setting appropriate depths. The student will also have the opportunity to perform a variable weight dive to a maximum depth of 40 metres. On successful completion of this course the student is awarded the AIDA 4 Master Freediver certification and is registered on the AIDA website Education Online System (EOS). We sell Leaderfins in pure carbon. They are one of the few freediving fins in the world that come in a large range of foot sizes suitable for both females and males. The foot pockets are made from soft and comfortable EPDM rubber. Blade length is a standard 80cm. Blade angle is 20 degrees (to help in streamlining). An optional scratch resistant film protector can be added to either side of your fins but please note that this adds to stiffness. We recommend all people to choose the “soft” option regarding stiffness unless particularly strong or larger. The trend in freediving is towards softer blades. All Leaderfins have a one year warranty on materials. Free postage for all locations in Australia.. We do not ship overseas. But please allow 7 to 21 days delivery time (this depends on what options you choose). We sell all sizes of Leaderfins Pure Carbon with the soft blade in our store (by appointment only). Ideal safety equipment for deeper diving, poorer water visibility and competitions while keeping your hands and legs free. Worn on the waist with the inner side of the belt covered in anti-slip material. Quick release mechanism behind your back. Includes a removable and very visible velcro tag pad for competition bottom tags. 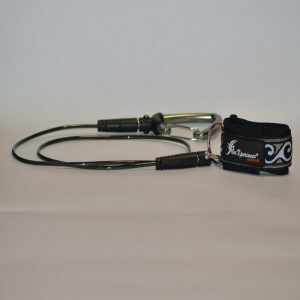 Includes 90cm cable with aluminium or heavier steel carabiner to attach to the dive rope. Includes a mesh bag to store the belt and cables. Beautiful ocean waves pattern on the belt. 3 different sizes for different waist circumferences: Medium (75 to 85cm); Large (85 to 95cm); & Extra Large (95 to 105cm). Free postage for all locations in Australia. (for orders under 500g weight). Ideal safety equipment for deeper diving, poor visibility conditions or competitions. Simple quick release mechanism for attachment to the freediving rope. Beautiful “ocean waves” pattern on the velcro attachment to wrist. Can be worn around the wrist or ankle for Constant Weight or Free Immersion Disciplines. One size fits all because of the simple but durable velcro attachment. It is compliant with AIDA standards and rules so ideal for competition use. 90cm cable length and total length 118cm from wrist connection to end of carabiner. Tests performed with a Lloyd LRX Plus materials testing machine with 2.5 kN load cell show breaking points for the cable of 170kgs; full lanyard of 140kg; and wrist band of 255kg. The FreeXperience wrist lanyard is the only company we know that provides safety specifications for its lanyards. Choice of aluminium carabiner (weight of 149 grams) or the heavier steel carabiner (weight of 220 grams) that is attached to the freediving rope. Handcrafted for your neck size, body weight and wetsuit thickness. Ideal for getting neutral buoyancy in the pool for dynamic training and competitions. 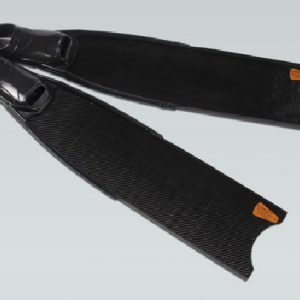 Ideal for ocean diving and competitions, especially during free falling and often eliminates the need of a weight belt for better streamlining. Available in a choice of black, red, green and blue. Weight is provided by fine lead shot in a rubber tube and protected by a heavy duty UV protected sheath for greater longevity, and security (it won’t easily break or leak). The freediving neck weight is flexible and will not damage pool surfaces if accidentally dropped. 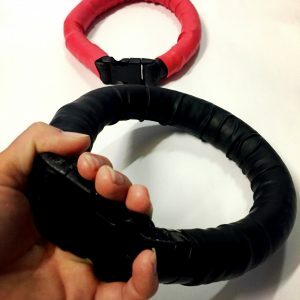 We have a range of freediving neck weights available for Freediving Gold Coast Club members to experiment with to get their weighting right and before purchasing a custom made neck weight. Generally, add 4 cm to your neck circumference measurement to determine appropriate neck weight circumference (remember to allow for your wetsuit thickness with a hood). Alternatively, use a flexible tape measure to measure where you would like the neck weight to be. This latter measurement will be the inner circumference of the neck weight. Phone or email if you have specific requirements regarding a specific weight or how loose you would like the neck weight to be around your neck. Please note that postage costs are determined by the weight of your neck weight and location in Australia and this is not included in the price of the neck weight advertised here. Available only in Australia. If you are from overseas please contact us prior to ordering so we can provide a quote for postage with international tracking to your country. 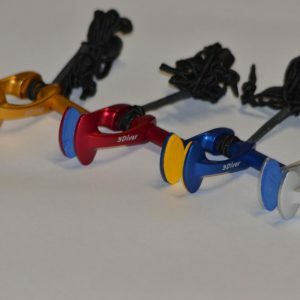 Made from durable light weight aluminium. Ideal for pool or ocean freediving. Short minimalistic lanyard around the neck. Ideal for small to medium noses. 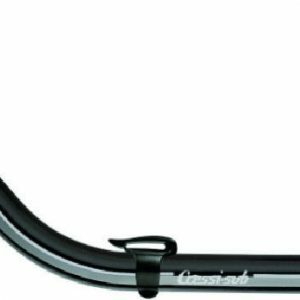 The Cressi America is our favourite freediving snorkel and is used on all our courses. It is quite rigid and slightly bigger in diameter than most snorkels. It does not get in the way of freediving when it is removed from your mouth while diving underwater. Quite minimalistic – there are no valves or anything else to go wrong. A very user friendly shage and seems to fit all heads.